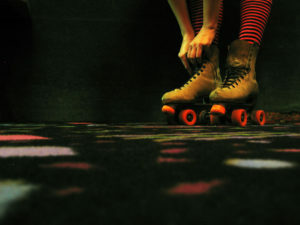 Home » News » Roller Skating Night this Thursday! Roller Skating Night this Thursday! Cost: $18 per person (skaters and non-skaters), which includes admission to the event, exclusive use of the covered rink, roller skates rental, bag check, and a $5 food voucher to be used during the event at the Bluestone Lakeside Café for a cookie and a fountain drink. Additional Details: Please return the RSVP form below by Monday, September 24th – no tickets will be sold at the door. The LeFrak Center also requires a signed waiver (attached) from all participants.